Welcome to the FIRST North Carolina Alumni Coalition! 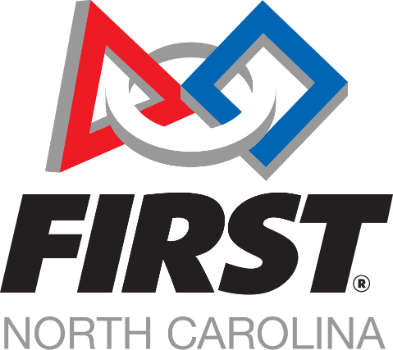 Our mission is to encourage greater participation and volunteering with the FIRST robotics programs of North Carolina and the larger southeastern United States region. We want to see FIRST teams from North Carolina and the southeast advance to become the best in the world. Additionally, we have a secondary goal to provide FIRST alumni a means of networking with one another in the region. We want to use our collective experience to see the FIRST ideals of gracious pofessionalism and coopertition applied beyond FIRST. To accomplish this, we have set out to create this alumni coalition. The FIRST North Carolina Alumni Coalition consists of alumni from any (Including teams outside of North Carolina!) FIRST Robotics Competition or FIRST Tech Challenge team. Other than prior participation as a student on a FIRST team there are no other membership requirements. From time to time, the alumni coalition will gather for events, networking and fun. We need your participation to help us create a dynamic and action-oriented group. We are pleased to introduce Ann Weinberger as our new Alumni Coalition Fearless Organizer. She will be reaching out to you once you are on our mailing list to get your ideas and to let you know about upcoming activities. You can reach her at alumni@firstnorthcarolina.org. Be sure to join our mailing list now! Where are they now? Catch up with our amazing alumni and learn more about their path after FIRST. Join the Alumni Coalition email list! We need a volunteer for managing our Facebook group. Get in touch if you want to volunteer!